If you want a lightweight dual sport trail bike that can handle a short commute in the week and then head into the countryside on green lanes at the weekend – this is it. This 370-mile example hasn't even reached the first service and comes with handguards. A good deal on a practically brand new bike that will be able to tackle most things you throw at it. 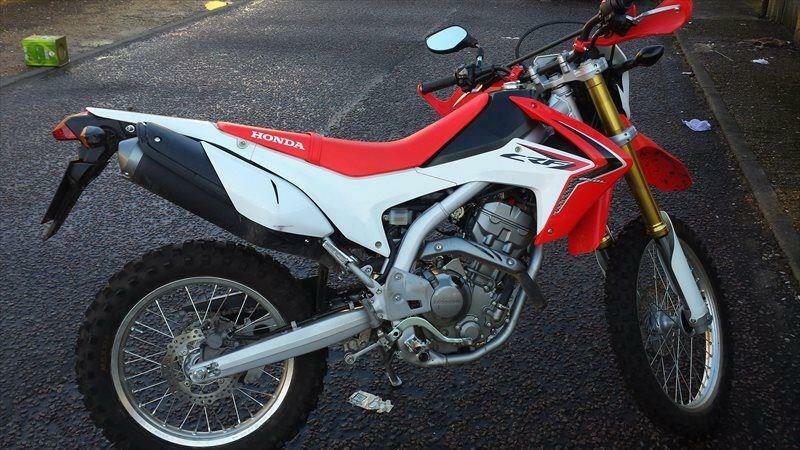 Building on the growing appetite for adventure, Honda have launched the funky CRF250 Rally.